Did you know that it’s Shark Week? Probably not, but to celebrate we thought we’d draw your attention to an under-appreciated group of sharks whose secret lives are now being revealed thanks to the wonders of satellite technology. 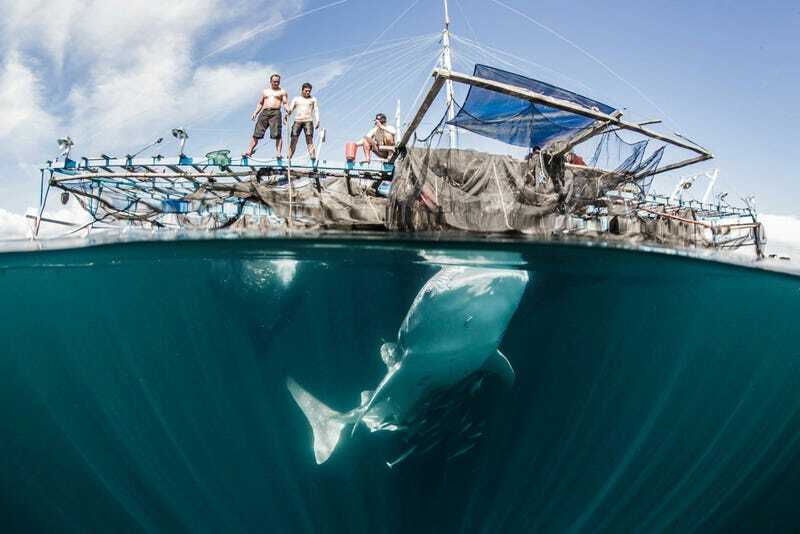 That’d be the whale shark, distinguished both for being the largest fish in the sea (it can weigh up to 21 tons) and for its unusual feeding habits. Unlike its more celebrated, flesh-eating cousins, the whale shark is a filter feeder, sucking vast clouds of plankton into its gaping-yet-human-friendly mouth. 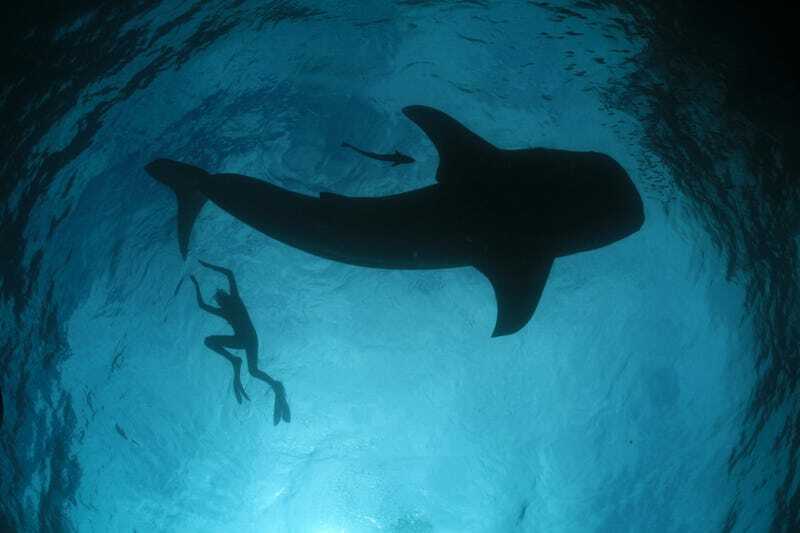 Despite their prodigious size and gentle nature, whale sharks are in many ways a scientific mystery. 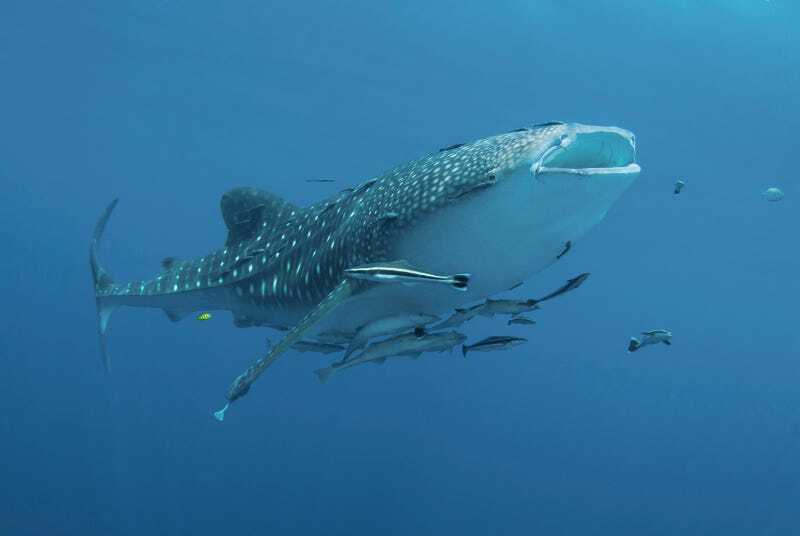 That’s why last year, a team of shark researchers began a first-of-its-kind satellite-monitoring programme, in which whale sharks living in the Bird’s Head region of eastern Indonesia were tagged with fin-mounted trackers that transmit location, depth, and temperature data. Several months on from the start of the experiment, the scientists have made some fascinating discoveries. While most of the whale sharks in the tracking study are homebodies (as more or less expected based on prior research), a handful have travelled far very far afield, only to find their way back to Bird’s Head. 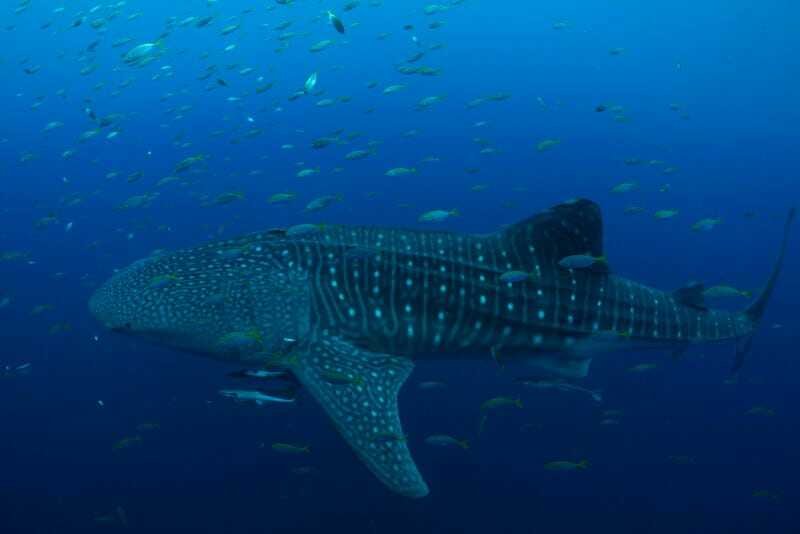 For instance, a 16-foot whale shark by the name of Moby swam all the way to the southern extent of the Mariana Trench and back again—a round trip of 2,485 miles that its observers found downright astonishing. Erdmann and his colleagues have also been delighted to discover that whale sharks are incredibly deep divers, in some cases plunging to nearly 6,000 feet. The higher purpose behind the deep excursions and the long road-trips remains elusive. But since the satellite trackers still have another year of battery life, the team is hoping to learn much more in the months to come. In the meanwhile, enjoy some lovely photos of whale sharks from the study, and remember: we’re still very ignorant when it comes to life beneath the sea.